German rabbi; born about 1665; died at Altona Jan. 12, 1712. He was successively rabbi of Tykoczin, Brest-Litovsk, and Altona. 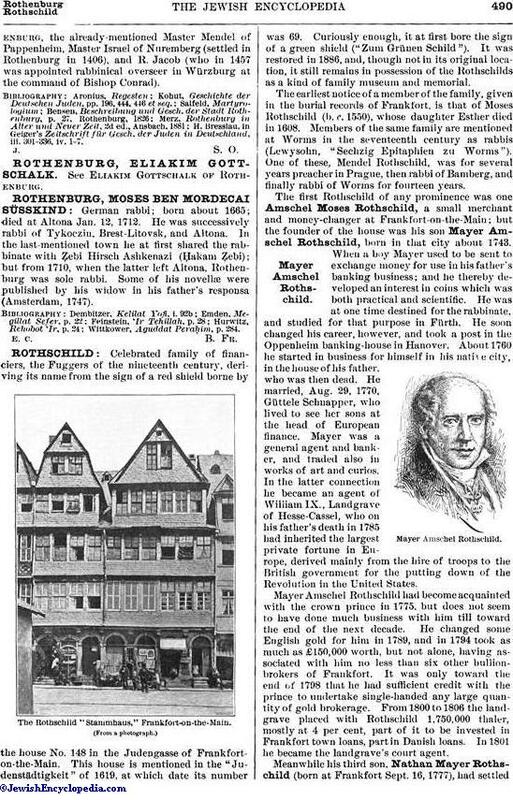 In the last-mentioned town he at first shared the rabbinate with Ẓebi Hirsch Ashkenazi (Ḥakam Ẓebi); but from 1710, when the latter left Altona, Rothenburg was sole rabbi. Some of his novellæ were published by his widow in his father's responsa (Amsterdam, 1747). Wittkower, Aguddat Peraḥim, p. 284.